Man of Steel reinvents an all too familiar Superman movie series and transforms this franchise into a never before seen super film. Spoiler alert! Using Superman’s Krypton background on the opening is smart. Here, a highly civilized alien civilization with advanced technology is nearing demise due to abuse of natural resources. Even their race is artificially manufactured through DNA produced babies with pre-birth assignments which will determine their destiny; whether they will become soldiers, leaders, or what not. Jor-El wanted to defy tradition and was amongst those who explored the universe for potential substitute for their planet. One of the sent unmanned space craft of his landed on Earth almost 20,000 years ago and was protected by thick glaciers of ice. The birth of his son, the first natural birth in centuries also embodies his ideal defiance of unprogressive tradition. He was able to successfully send his son towards Earth when Krypton’s leaders did not permit his desire to evacuate their planet’s inhabitants from a dying world. His son will then defy preset destinies on Kryptonian babies and he can choose his own path in life. Meanwhile, General Zod who attempted to usurp leaders of their power was sent to a black hole as punishment, along with his minions. He killed Zor-El who defied his beliefs. The utter destruction of their planet freed them from their prison. The use of flashbacks to show Clark Kent’s growing years in a nutshell is also smart. His super abilities (sensitive hearing, x-ray vision, and super strength) were made evident through several scenes of his earlier life. This included his elementary school days and pulling out an entire school bus full of classmates from completely submerging underwater (this included Lana Lang). Unfortunately, his human father believed that it isn’t time for the world to know about him yet. He was determined to keep Clark’s strengths a secret, even if it meant his own death when he declined his son’s help during a tornado. But this opened more opportunities for Clark to actually help more people. He had worked in several places at different disguises and had been presented various opportunities to aide humanity as a fisherman, waiter, and during the investigation of an unknown vessel covered with ice. The latter leads to the opportune moment for him to be acquainted with Lois Lane and to activate the pre-historic vessel his father sent to Earth. He came to know about his roots through a computer simulation of his biological father, Jor-El. The lengthy lecture about how Kal-El will give humanity hope and how the letter ‘S’ in Krypton actually embodied hope made his blue suit (complete with the red cape) more than a commercial symbol. It’s a symbol of hope. Unfortunately, the same event triggered a distress signal from the vessel which allowed Gen. Zod to find Kal. 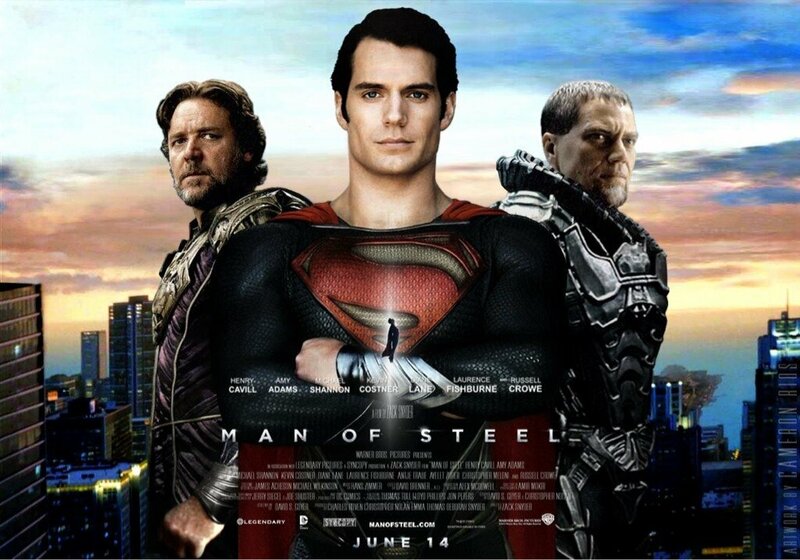 Gen. Zod’s mission is to find Kal and the genetic codex containing the DNA of yet to be born Krytonians. It was stolen by Kal-El’s father and sent with Kal on his escape from Krypton (it was actually decoded and encoded onto the newborn Kal). Zod even initiated a planetary reassignment to make Earth more suitable for Kryptons; thereby planning to annihilate the human race in this process. Fortunately, Clark passed the ignition key (letter S) to Lois which she was able to make use of at Zod’s ship (designed by Kal-El’s father). Zor-El showed Lois how to send the banished Kryptons back to a black hole. Superman (coined by Lois) was able to destroy the planetary reassignment machine. Lois’ team (along with military officials and scientists) was able to create a worm hole using Kal’s baby ship. Two similar magnetic energies repelled and created the black hole. Too bad, many have fallen to save Earth and humanity. From which I’ll remember these lines, “A good death is a reward itself,” in remembrance of those who have fallen for Earth and mankind. It wrecked havoc, literally, at least on screen. Anyone will enjoy the action from start to finish complete with collapsed buildings, damaged properties, and fight scenes from various characters. Although Lex Luthor was nowhere to be found on this movie, LexCorp logos were spotted on several occasions during the fight scenes. If there will be a sequel, most likely it's focused on Lex Luthor's role in Superman's life. The graphics are also amazing including Superman’s flights; fight scenes amongst powerful Kryptons including the effect of how they damage properties believably; Krypton itself; the space crafts, and so much more. Reviews and social network posts from those who have seen the movie beforehand is true. Man of Steel is super superb. Although it’s quite similar to the storyline of the original old Superman 2 movie, there’s a different twist to the ending and it’s definitely more action packed. I’m sure even kids who watched with their guardians at the fully packed cinema earlier would agree. Parents really wanted to watch and even brought their crying infants inside. No comment on parenting. I was just wondering how Kryptons become powerful when exposed to Earth’s atmosphere. It appears that this planet enables Kryptons to unleash hidden abilities. Can we possibly experience the same through other planets? Kidding; still can’t get over Star Trek Into Darkness. If you’re a fan of action, Man of Steel won’t fail you. Similarly, if you are a follower of the Superman series in movies and T.V., this can possibly be the best Superman film yet. See and find out.